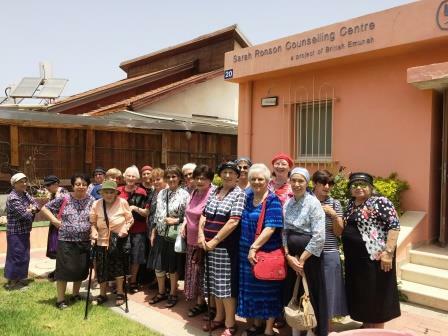 On Monday I travelled to Sderot with a group of friends from my local chapter of Emunah (the National Religious Women’s Organization). We wanted to see the Emunah-funded trauma center and, as inquisitive and curious Israeli citizens, we also wished to see the sites of this famous little town. The Emunah Trauma Center was provided with its original funding by British Emunah and the Ronson family, and it continues to be funded by Emunah and private donors. It receives no government or health-fund funding at all. Patients can simply call up to make an appointment, although they are sometimes referred by their doctors or from the government funded Hosen Center (Center for Resilience). The Hosen Center treats emotional and psychological trauma caused for the most part by the frequent rocket attacks on Sderot, but many times the trauma is expressed physically rather than mentally, and that’s where the Emunah Trauma Center comes in, with its focus on alternative medicine and hands-on healing. 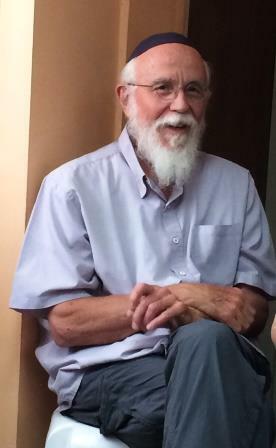 Dr. David Mandel, a Jerusalem-based psychiatrist, explained that he came to work in Sderot and began to realise the urgent need for such a trauma center. However as he worked to set up the center he wasn’t sure at all would work! He didn’t know if a building could be found, and if the demand or the funds would exist to keep the center going. As you can hear in the audio link below, the trauma center turned out to be a greater success (if that’s the right term) than he imagined. Click on the orange arrow below to hear the short talk that Dr. Mandel gave us in which he explained the history of the center and how the treatment is carried out. (Apologies for the sound quality, turn up your speakers for better sound). I have also embedded an information leaflet produced by the Trauma Center explaining their work, the various therapies, and some case studies demonstrating the effectiveness of the treatments. (The document was aligned from right-to-left which affects the alignment of some of the paragraphs). Dr. Mandel described how the center was the only fortified building in Sderot at the time, which was what made it the perfect site for a trauma center, since the patients could relax even during a missile attack. Later on more rooms were added and they too have been fortified. The therapists described to us some case studies, and also described for us how they themselves cope with their own trauma. After all, they too live in the rocket-zone and have to suffer the same alerts and dangers, with the same tension and worry for their families. One aspect which we hadn’t all considered was the extreme tension suffered by caretakers of all types: kindergarten and school-teachers, doctors, nurses, social workers, police officers, caregivers etc., who are always “on call”, even when they are off duty, always having to worry about other people and ensure their safety. These people never get to NOT be the “adult in the room”. They too sometimes come in to the trauma center just to unload their tension and have someone take care of them for a change. The therapists themselves have their own inter-staff therapy too. We cannot express strongly enough our enormous admiration for the dedicated staff of the Emunah Trauma Center and we are proud that the organization to which we belong is playing such an important part in the maintenance of this vital institution. When we left the center we were met by Atara Orenbuch, the daughter of one our members who has lived in Sderot for about 16 years. She served as our tour guide for the rest of our visit. She took us to our next stop: the workshop of the local Enosh branch. (Enosh is a nationwide organization for the rehabilitation of the mentally handicapped.) We saw – and bought – some of the beautiful ceramic products that the patients produce. Below you can see the entrance plaque to the workshop made by the patients themselves, and a beautiful bowl that I bought to grace our own Shabbat table. After leaving the Enosh workshop, we climbed back onto our minibus and Atara guided us around Sderot. She pointed out the “miguniot” – the concrete cubes that serve as bus shelters – literally, for they provide shelter from rockets as well as from the weather – and the various fortifications that have been added to houses, schools, kindergartens, and even public parks, so that as much as possible the residents have to run no more than 15 seconds in order to reach safety. And remember – 15 seconds is all they have. The sobering reality was difficult to absorb no matter how much we read about it or hear about it on the news. (Click each picture to enlarge, and scroll through the gallery. Click X on top left to close gallery and return to blog). Atara told us that despite the presence of the miguniot around the town, not every single street is covered. One day she was in her car with her baby when the Code Red siren went off. She jumped out of the car (because being inside the car is the most dangerous place in a rocket attack) and undid her baby’s car seat straps (all within 15 seconds!). There was no place to shelter and no time to run so she placed her baby on the floor and crouched over her, as mothers have been shown to do. She said she felt so exposed, and yet instead of feeling frightened she said she was furious! She was angry that in this day and age, in the sovereign State of Israel, Jews are still being made to cower in front of the enemy and take cover. Of course we all know the answer to the situation – only it isn’t politically correct to suggest carpet-bombing Gaza. But it’s not all bad and dangerous in Sderot. We were very pleasantly surprised to see that contrary to our preconceptions, Sderot has some lovely parks (not enough of course, according to Atara) and some very beautiful new building. In fact there is building going on everywhere. Sderot is a booming town in more ways than one, and housing is in short supply. Part of the reason for this is, ironically, the success of Hamas’s long range rockets! Until recently, the younger generation were leaving the dangers of Sderot for the safety of the bigger nearby cities like Ashkelon, Ashdod and Rishon LeZion. But since last summer, when all those towns, and even further north (e.g. my very own Petach Tikva) came under fire from the long-range missiles, the younger generation decided to move back home to the warm and familiar community which they had missed. And what with the newly fortified housing and public spaces, Sderot is in some ways at least as safe as other towns in the region. After a lunch-break at Atara’s lovely home (where she generously provided us with drinks and home-baked cakes) we headed to the Sderot police station where we saw the famous display of Kassams and Grad rockets which have landed (or rather, exploded) in Sderot and its surroundings. It is truly shocking to see the hundreds of rockets stacked slightly hapharzardly on shelves in the courtyard. And these are just a fraction of what has been shot at the poor residents of the area. (Here too, click on each picture as above to view the gallery). 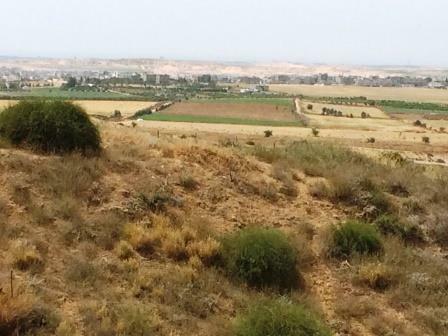 We had originally planned to visit the lookout point in Kibbutz Nir Am, right on the Gaza border, but the previous day’s rocket fire had deterred us somewhat. Instead we had decided to go to the Hesder Yeshiva (where the students combine Talmudic studies with IDF service), where they had built a huge Menorah out of Kassam rockets. But the elevator to the 4th floor where the Menorah was located was out of action, and four floors were three too many for most of our ladies. So we U-turned our decisions and went to Nir Am after all, to the lookout point which was dedicated in memory of Asaf Siboni, an IDF soldier who was killed in the IDF helicopter accident in 1997. We were a little concerned for the security situation, however, thank G-d all was quiet, and if it were not for the fact that barely 2 km away was a seething hotbed of hatred for Israel and Jews, we would have relaxed and enjoyed the view. As it was, the view was quite amazing, and for a moment we could almost imagine we were seeing Tel Aviv on the skyline, and not Gaza. In fact, contrary to all that you may see and read on the news, Gaza is not a ruin, not destroyed and not a pile of steaming rubble. All that we could see were buildings, including high-rise apartment blocks, and the chimneys of some industrial installations or factories. We returned to Sderot to take Atara back to her house, and then travelled back to Petach Tikva feeling on the one hand happy to see how Sderot has developed, and proud at the contribution of Emunah to the resilience of the community, but very much sobered by the reality in which the residents of Sderot and the entire Gaza envelope region is living. We want to thank Atara Orenbuch once again for taking the time and effort to guide us around her hometown and for “lending” us her house for our lunch-break. Once again we also want to thank the workers of the Emunah Trauma Center for hosting us and salute them for their dedication. May Hashem continue to grant strength to the residents and all those who work in Sderot and its surroundings, may He continue to watch over them and keep them safe, and may He bring an end to all the wars. This entry was posted in Defence and Military, Israel news, Terrorism and tagged Emunah, Enosh, Gaza, missiles, Nir Am, rockets, Sderot, south, trauma. Bookmark the permalink. Anne this is truly a comprehensive revue of our trip to Sderot.I was expecting a real backwater kind of town and was so pleasantly surprised at the true situation there.One of the things Atara explained to us was ,that when the media says a missile fell in an “open area no damage no injuries” it can mean on an empty plot on a corner and they dont count mental trauma as injuries! !One thinks of open fields but very often this is not so.It is so admirableto see how the residents carry on their day to day activities with one ear always cocked for “code red”siren.May the day soon come when they can feel safe everywhere in all of our little country. Thank you for your kind words. Yes, I forgot to mention that bit about “open areas” and “no injuries”. In fact I have blogged about that very thing some time ago: No injuries or damage reported. (Wow, that was almost exactly 3 years ago! Nothing has changed sadly). It’s a very pleasant little town. I visited on a day that the “Palestinians” were busy rocketing Ashkelon and Ashdod, but Sderot got whacked the following day. We arrived by our tiny little rental car; the brave US Army officer there on some sort of official tour was brought in an APC. 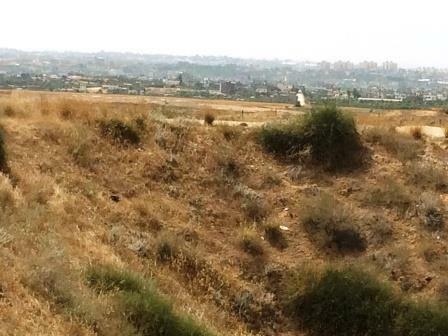 Unbelievable what the residents of Sderot had to put up with due to Olmert… and utterly unacceptable. I remember your visit there, and was very impressed with your courage, especially with the rocket fire. You make me laugh with the story of the “brave” US army guy arriving in an APC. I guess it wasn’t his choice, just regulations. /frankly, it took more courage to fly AlItalia through Fumicino than to visit Sderot! I wish I couldv’e joined you. Thank you for making this blog feel as if we’ve been too to Sderot.When I saw the pictures of the fortified schools-my first thoughts were-poor kids they can’t even daydream & look out of the windows. The huge stockpile of rockets shocked me. We forget what their lives are like(although we got a taste of that last summer). The trauma center is a wonderful center to have been established. May they grow, but not from patients needing their help after rocket attacks. Every town in Israel needs one. I went with my hubby last year to Sderot & we just drove around town to see the shelters-they are very creative. I was saddened by seeing a basketball pitch with an safe ceiling(no walls) ,but a local resident told me I was wrong to feel that way. You must be happy for us she said . At least now I can let my kids go play basketball, & the kids WANT to go play. Beforehand they were to scared to move away from the safety of their home after school.We wandered around ,bought some stuff & everyone was delighted that “Tel Aviv suburbians” were actually deigning to visit them. How sad that they feel as if they’ve been discarded by the rest of the country. That’s why your trip, and your post are even more important. I recommend that anyone who can, should go. One last thing, on the way to Sderot I finally got to see where all these little towns,farms and villages that we hear about on the news (when rockets fall in”open spaces”) or when they too have to take shelter. It’s time the people living in the center of the country see the reality of the lives of the people on the home front of the south. Kol hakavod to your and your husband for having the initiative to go to Sderot on a shopping trip. That’s a really brilliant idea. people don’t realize how close Sderot si to the center of the country. It’s not “periphery” at all – a mere hour from Petach Tikva. Indeed the residents’ strength and resilience is amazing and heart warming. We should all learn from them.